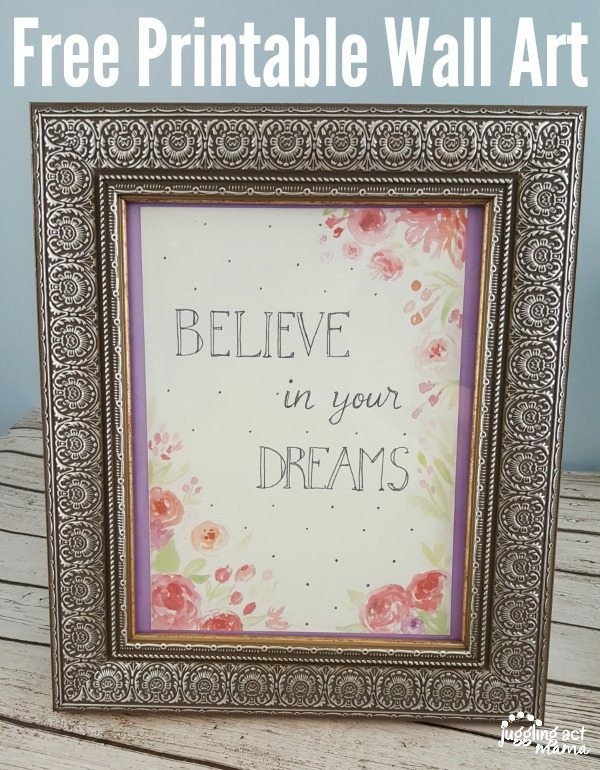 This Believe in Your Dreams Printable Wall Art free printable is an inspiring message for any home, and makes a lovely but inexpensive gift. 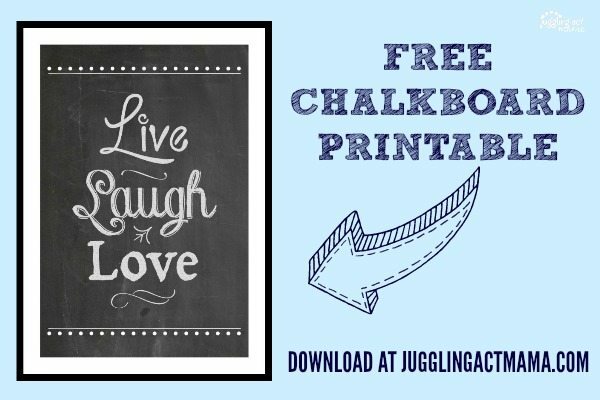 You know how much I love my printable wall prints, right? This one speaks to me on so many levels. 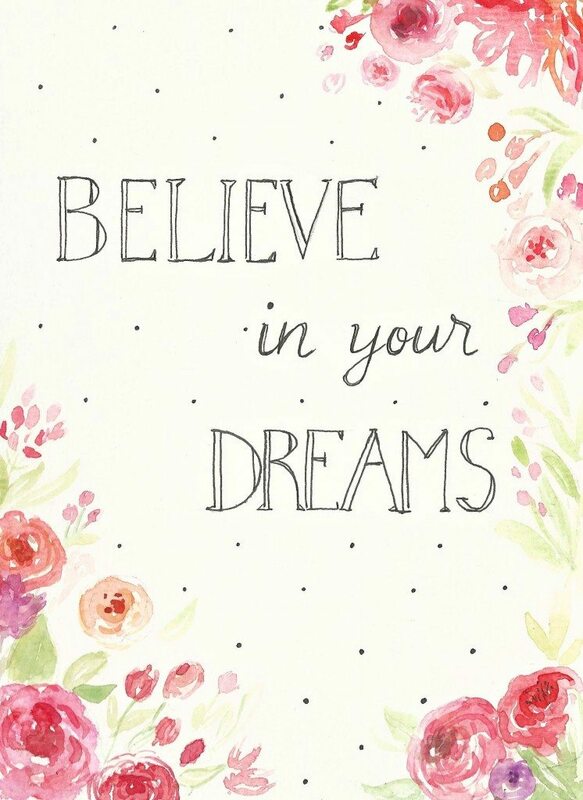 It is perfect for this time of year with high school and college graduates closing the door on one chapter of their lives, and opening another. I know, I know, I’m so cliche, right? Maybe I’m just a little too sentimental for my own good. 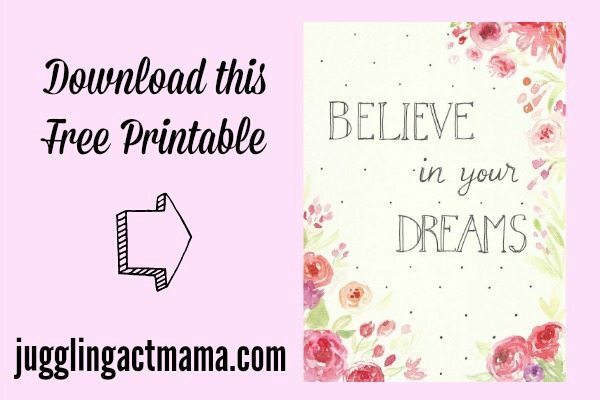 Anyhow, this Believe in Your Dreams Printable Wall Art is a freebie that I’m offering to my dear readers. 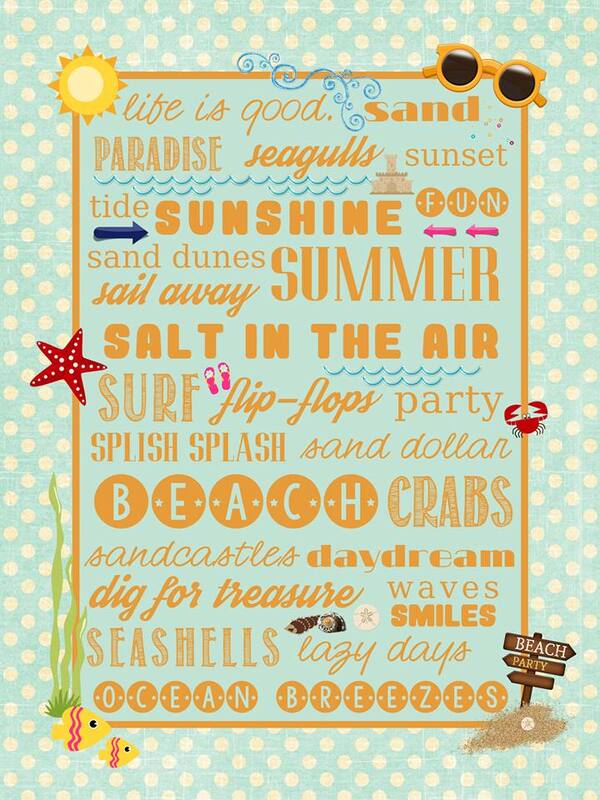 Simply download, print, frame and hang. You’re welcome to share this link with others – in fact we encourage it, however please be sure to note our Copy Right Notice below. 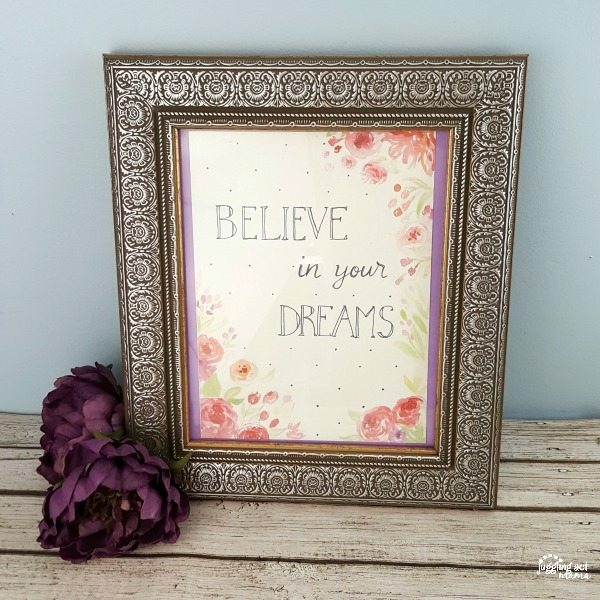 Copy Right Notice: You may download and print these files solely for your own non-commercial use provided that you agree not to change or delete any copyright or proprietary notices from the materials. For more information, please see Juggling Act Mama’s Copy Right Notice.